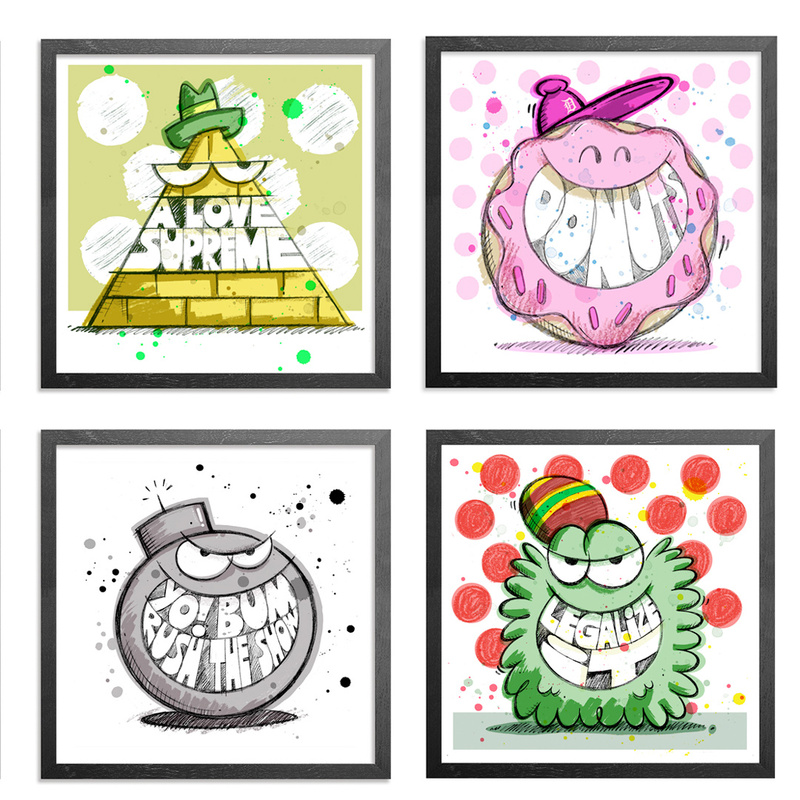 This RUN comes signed, numbered and with a Certificate of Authenticity from Kevin Lyons and 1xRUN. Note: This RUN pulls from each RUNs respective edition of 50. "The idea for this series was to celebrate my 4 favorite albums of all time by using one of my staple, recurring characters to re-imagine each cover in a 12inch Vinyl format. PUBLIC ENEMY - YO! 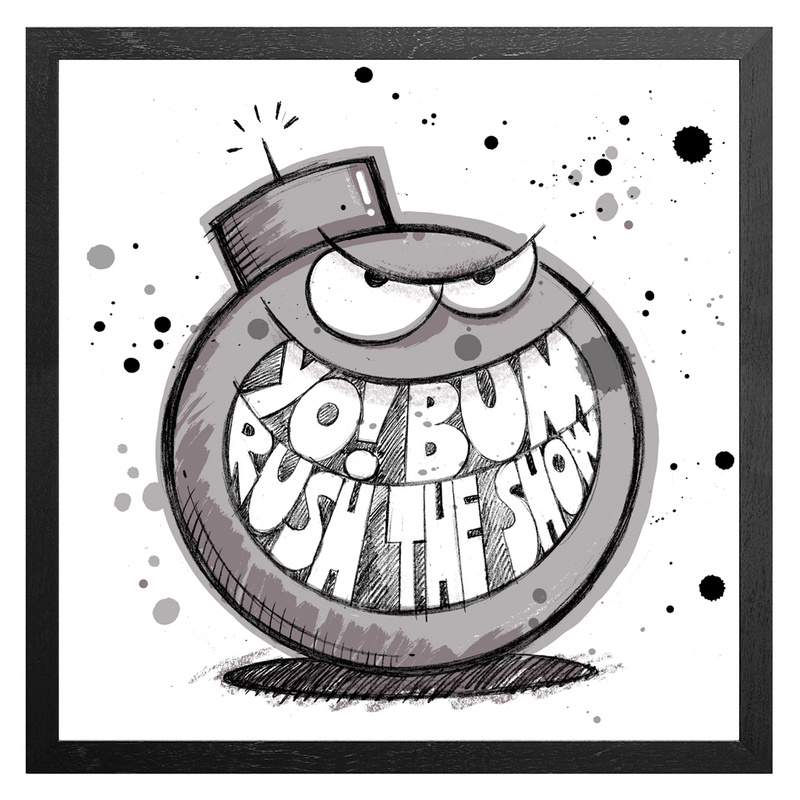 BUM RUSH THE SHOW. Fittingly represented here by one of my favorite of my characters, The Bomb. This album I discovered in the Punk section of my local record shop. When I took it home, I expected it to be like a new Bad Brains.... up until that point, Hip-Hop for me was 2LiveCrew, Kurtis Blow, RUN DMC, and some Schoolly D. This album took my whole world to another level. Punker than punk and louder than a bomb, I never looked back. PETER TOSH - LEGALIZE IT. Peter Tosh was by far my favorite Wailer. His version of Stop That Train is definitive. He was the coolest cat on the planet to a 19 year old me. He was militant and independent and tough and had crazy style. 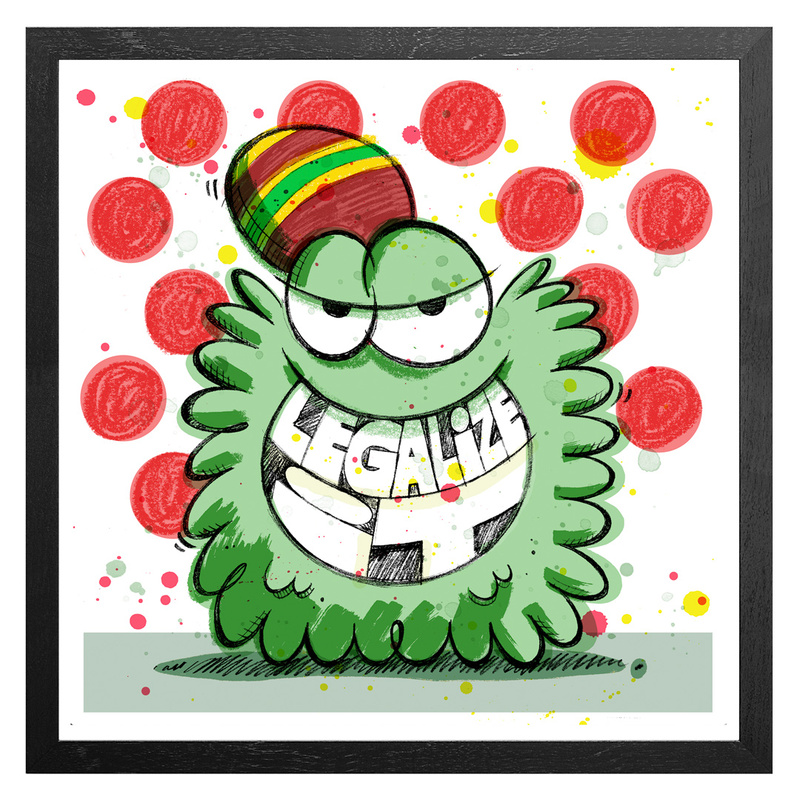 reggae has always been a constant since High School and for me Legalize It never grows old. JOHN COLTRANE - A LOVE SUPREME. 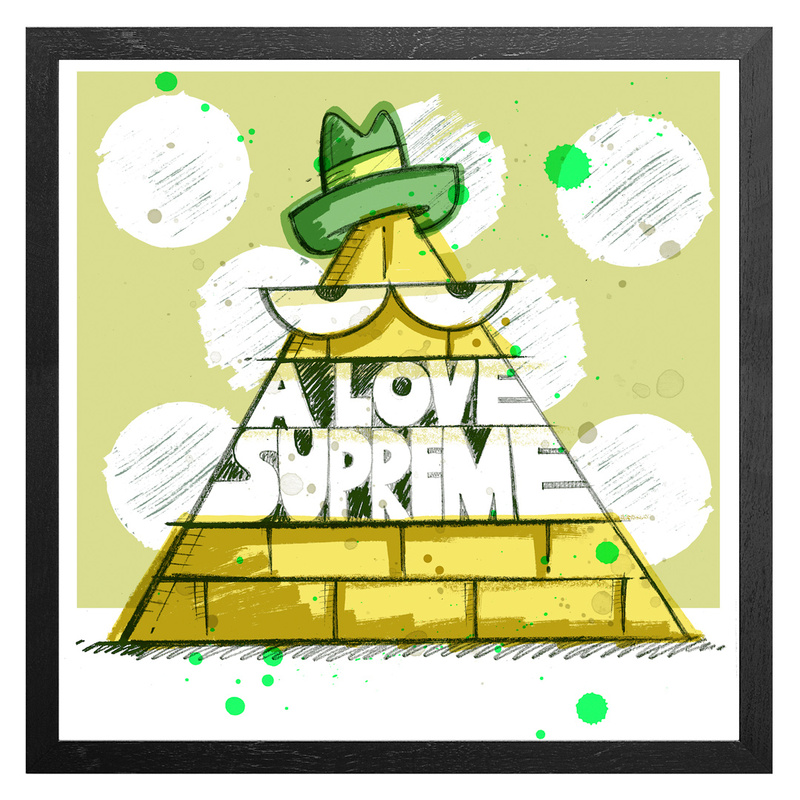 I often use PYRAMID characters in my work to represent a variety of things I love. They also symbolize spirituality to me. A Higher Power. This album literally replaced church for me. It is without question my favorite album of all time. I got into Jazz like most kids of my generation, through Hip-Hop samples and scouring the liner notes. But never did I ever expect a single recording to so move me and make me the record collector I am today. 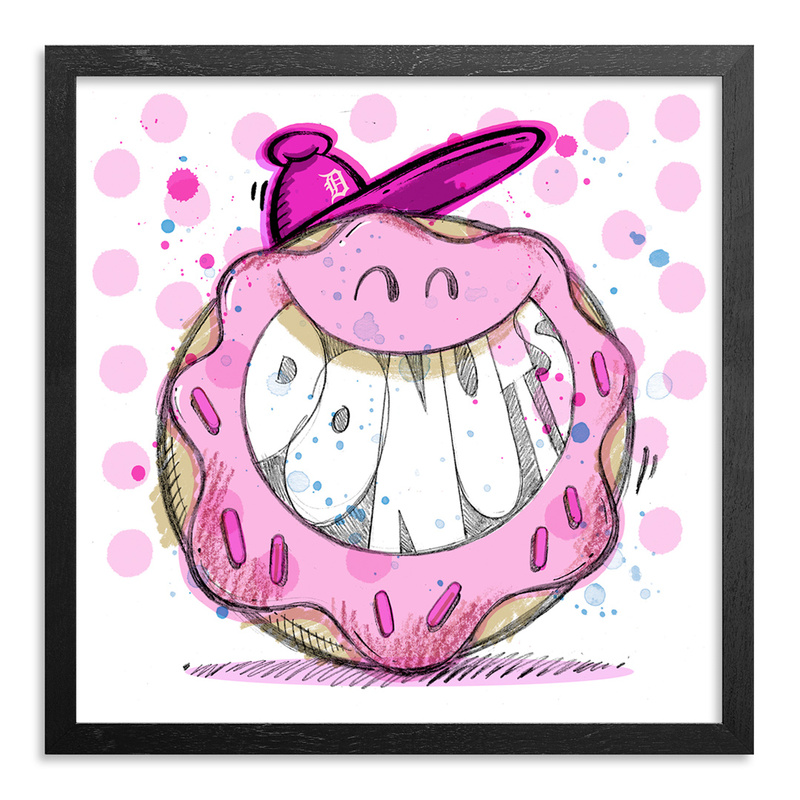 DILLA - DONUTS - The modern classic. The last of the great sample records. J Dilla managed to put all of my favorite artists into one single piece of vinyl. De La, Tribe, The Roots, The Beasties.....They all used samples in unique and innovative ways. But never had anyone made a classic jazz record by using purely sampled material. And his samples were so deep and so diverse. Stuff that seemingly should never work together. It is the classic work of a pure genius. Pure love. J Dilla is of course represented by one of my Donuts. As he always is. Kevin Lyons is a creative director, designer, illustrator, and typographer who lives and works in Brooklyn, New York. Most recently, Lyons was a Partner and the Design Director at the juggernaut, anti-ad-agency-turned-ad-agency, Anomaly in New York City. In his previous lives Lyons has been an art director for SSUR, a creative at Nike, Design Director at Stussy, Art Director at Girl Skateboards, and Creative Director for both Tokion Magazine and Urban Outfitters. He often shows internationally and is published worldwide. His steady stream of clients include the Paris-based Colette, Nike, Converse, Adidas, DC Shoes, Girl, Google TV, Umbro, and Mighty Healthy. He is the founder and sole creative behind the veteran label, Natural Born.